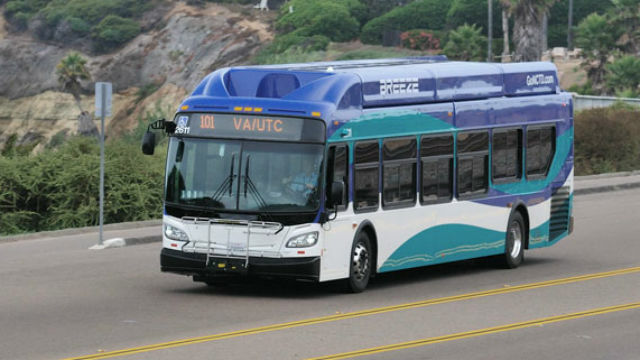 The North County Transit District, which operates the Breeze bus service, will offer free rides after 6 p.m. to help prevent impaired drivers from taking to the roadways on New Year’s Eve. The district, which also operates Sprinter light rail service between Oceanside and Escondido, and the Coaster commuter rail between Oceanside and downtown San Diego, will also run extra trains through 2 a.m. New Year’s Day. The service extension coincided with San Diego County Sheriff’s Department announcing plans to increase patrols for impaired drivers, including those under the influence of marijuana and prescription drugs, through Tuesday. Residents arrested on a DUI charges can face fines and court fees of $15,000 or more, according to the Sheriff’s Department.